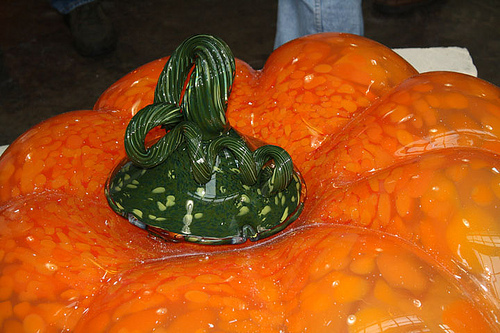 You’ve seen big pumpkins, but never one this big made of glass! 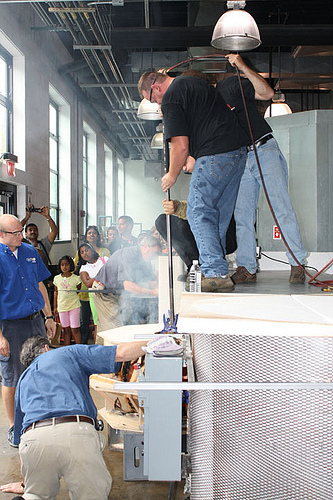 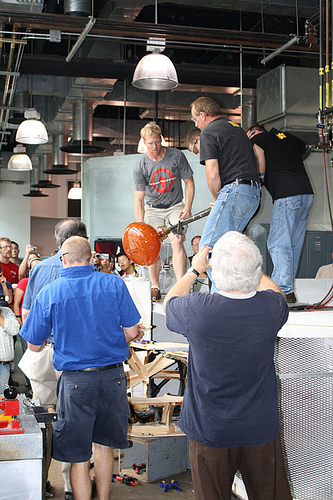 Made by our Museum glassmakers, the giant pumpkin, which measures 97 inches (more than 8 feet) in circumference and weighs in at 70 pounds, is a popular part of our Fall Glass Harvest celebration. 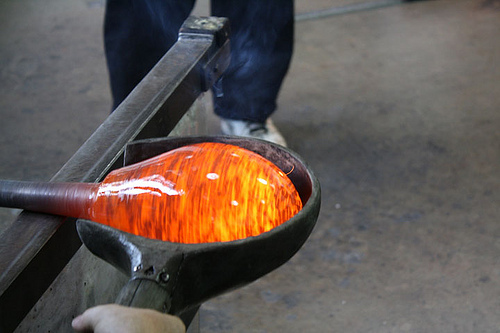 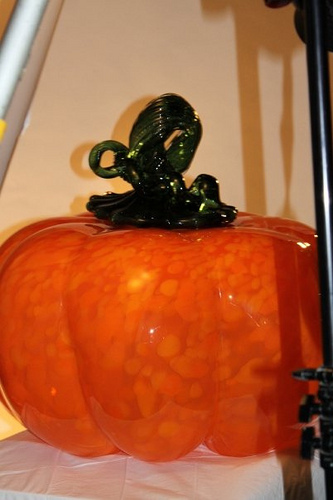 The pumpkin was created in 2009 by the glassmakers who present the Museum’s live glassblowing demonstrations, led by George Kennard. 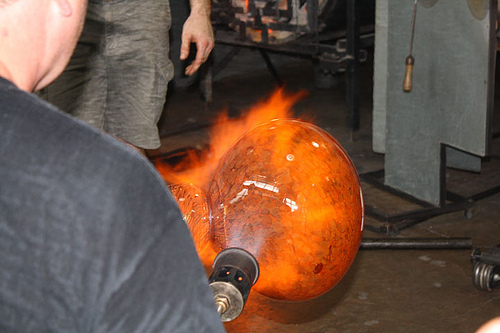 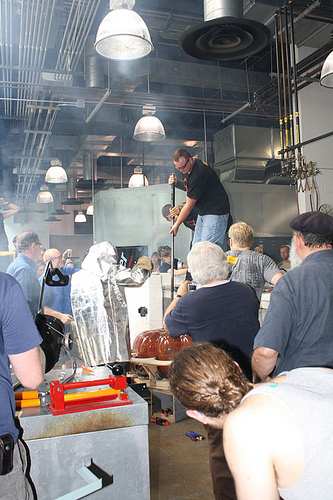 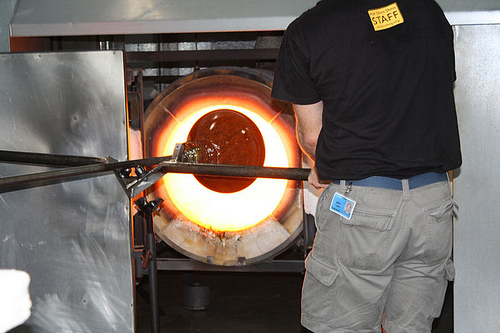 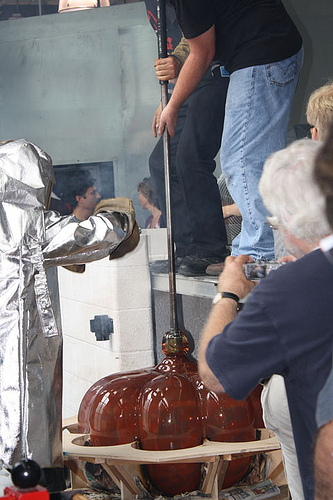 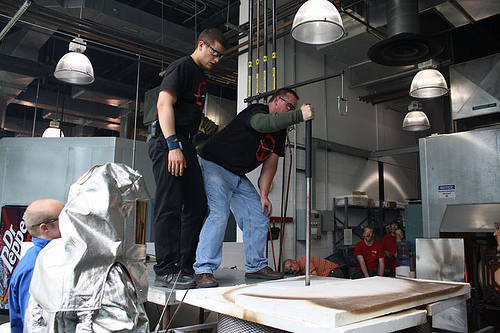 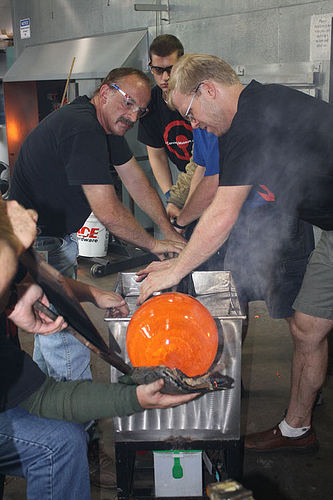 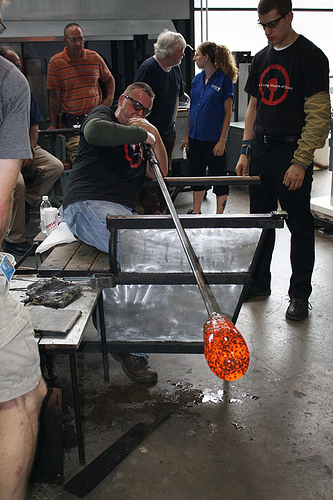 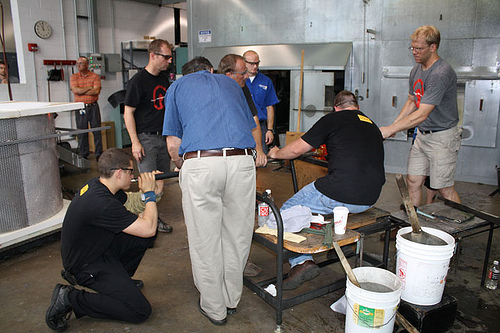 The pumpkin-making process took a team of eight glassblowers more than 50 hours of work, 17 attempts, a lot of shattered glass, and a number of lopsided prototypes.